Cost: $6.00 for adults, Children under 12 free. Scouts in uniform are free with an adult. Free admission to active duty, retired military, their dependents with military ID and former military with VA ID card. DEALERS 45+ – – of all things beads, rock, gem, mineral, fossil, lapidary, and jewelry related items. See and patronize our 50+ dealers. 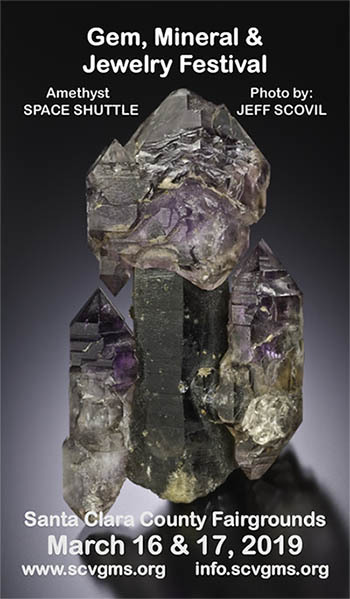 DEMONSTRATORS – watch experts work on lapidary and rock-related arts. See how a piece of rock becomes a piece of jewelry or a sculpture. Learn how rock specimens are identified. 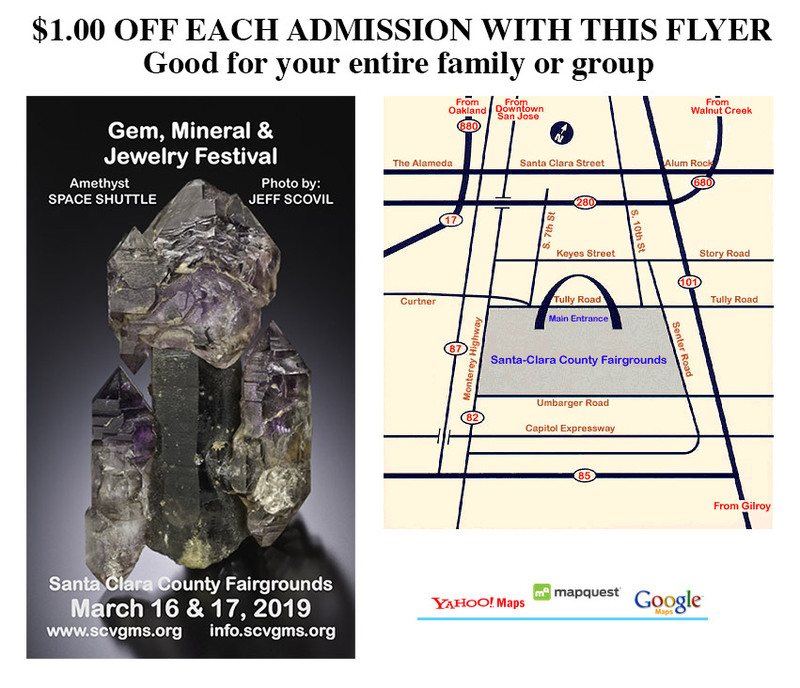 DISPLAYS – explore competitive and non-competitive displays of specimen collections and lapidary craftsmanship from special guests, dealers, and club members. SCHOLARSHIP BOOTH – a collection of fund raising activities with 100% of its proceeds supporting scholarships awarded to selected earth science majors at local universities. DOOR PRIZES – Tickets for 2 prizes of $100 and $50 to be drawn at 4:30pm on Sunday. Need not be present to win.